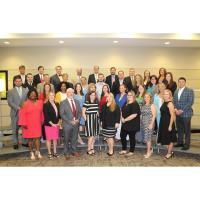 The Mississippi Gulf Coast Chamber of Commerce, Inc. has announced the 29th class of local business and community leaders selected to participate in its Leadership Gulf Coast program. Tracie Strayham, Lamey Electric, Inc. Leadership Gulf Coast, a division of the Mississippi Gulf Coast Chamber of Commerce, Inc., is a program designed to prepare the area’s current and potential leaders for the future. The program’s goal is to understand real problems and opportunities in the local community, and to create a communication network between present and emerging leaders dedicated to the improvement of the Mississippi Gulf Coast. More than 900 leaders have graduated from the program since its inception in 1990.